Multiple reports suggest that Apple is developing an augmented reality headset or glasses that could be released by 2020 or 2021, and a newly granted Apple patent may provide some broad clues about potential features. As with many other augmented reality devices, the head-mounted display would be able to overlay computer-generated virtual information onto a view of the real environment. More specifically, the headset would have a camera that is able to identify and annotate points of interest and other objects. 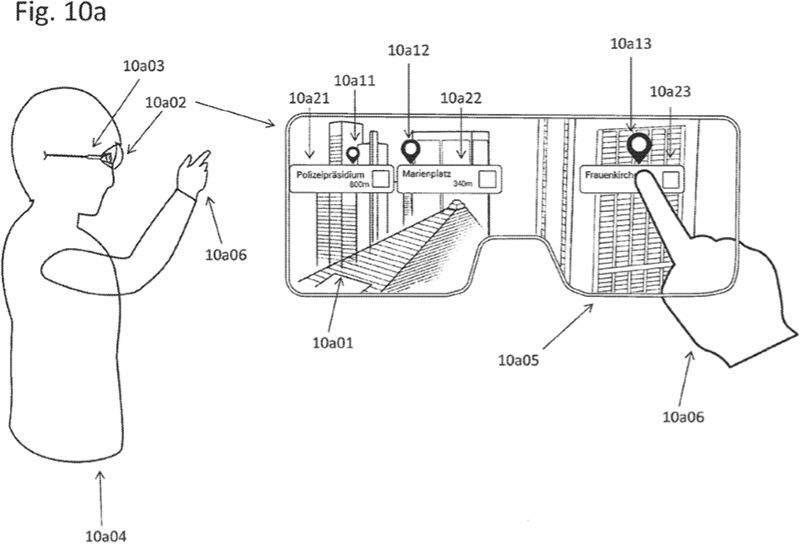 One illustration in the patent shows a head-mounted display showing buildings, each identified with an overlaying label. 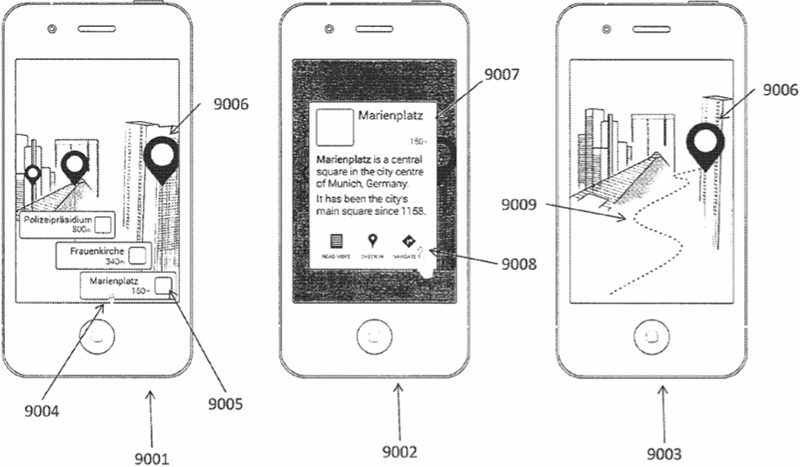 On a paired iPhone, a user would be able to tap on the point of interest to view additional information. While the head-mounted display looks like a pair of snowboarding goggles, patent illustrations are merely examples. Apple files numerous patent applications every week, of course, and many of the inventions do not see the light of day. Patents are also very detailed, encompassing many possible ideas, even ones that Apple might not have any plans to advance. So, the exact implementation if any remains to be seen. At this point, it’s not entirely clear if Apple is working on Google Glasses-like glasses or a HoloLens-like headset. Apple CEO Tim Cook has expressed more of an interest in augmented reality than virtual reality, however, and the patent does suggest that Apple is focused on augmenting the real world. Bloomberg‘s Mark Gurman has previously reported that Apple’s headset will use a custom iOS-based operating system dubbed “rOS” for now. He also said the headset would wirelessly connect to an iPhone. Apple has acquired multiple augmented reality startups including Metaio in 2015, Vrvana in 2017 and Akonia Holographics last year, and has hired away employees from HoloLens and similar companies, as it continues to work on the project. In fact, the inventors listed on this patent are former Metaio employees. AppleInsider was first to report on the patent being granted today. Apple applied for the patent back in 2017.